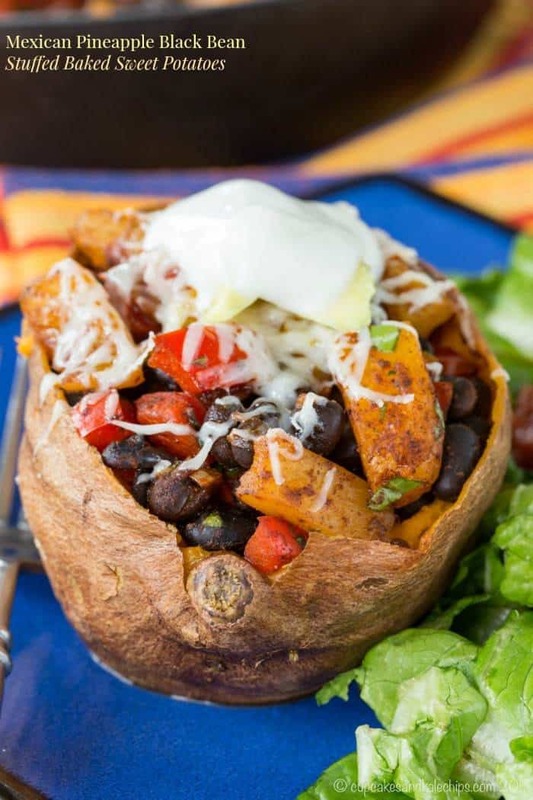 baked sweet potatoes stuffed with delicious Mexican spiced black beans, pineapple, shredded cheese and tomatoes. 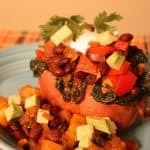 Stuffed baked sweet potatoes with Mexican flair! 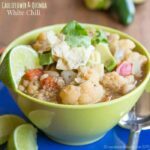 This healthy gluten-free meal is easy to make any night of the week, and it’s a great gluten-free Cinco de Mayo food option, too! 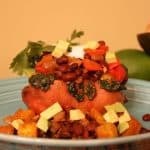 For Meatless Monday or a new twist on Taco Tuesday, make Mexican Pineapple Black Bean Stuffed Baked Sweet Potatoes. Mexican Pineapple Black Bean Stuffed Baked Sweet Potatoes -> CLICK HERE TO PIN THIS RECIPE! Originally published on March 19, 2012. Updated on April 3, 2017. This recipe exists because I have lots of dreams. Strange Weird Crazy Stupid Lame Awesome as it sounds, many of those dreams have to do with food. Things like open a bed & breakfast, become a sommelier, own a cafe/wine bar/bakery, be a waitress at a really fancy restaurant, meet Giada or Tyler or Michael or Tom or Mario (DiLaurentiis, Florence, Symon, Collicchio, and Batali for those of you who aren’t on a first name basis with them, as I am), write a cookbook. One of those dreams is to win a recipe contest. 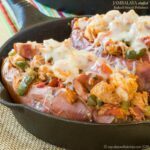 I made a stuffed baked sweet potatoes recipe a couple of weeks ago that I thought would be perfect for this contest. I still haven’t written a cookbook, I did actually meet Giada, I’m not really interested in owning a bed and breakfast, but being a sommelier would still be pretty darn cool. But you know what’s also pretty darn cool? That five years later I am still blogging, and now it’s my job. I am my own boss. I have flexibility to get my kids to and from school and activities. I can take care of my hubby after his shoulder surgery. I may have more dreams, but I’m living the dream. 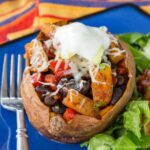 It was time to make Mexican Pineapple Black Bean Stuffed Baked Sweet Potatoes again! The black bean filling for my spin on baked stuffed sweet potatoes is based on this Black Bean Mango Tacos recipe from my friend, Michelle, at Find Your Balance. When I first posted this I had a couple other components, but I wanted to simplify the recipe, so I tweaked it a bit. 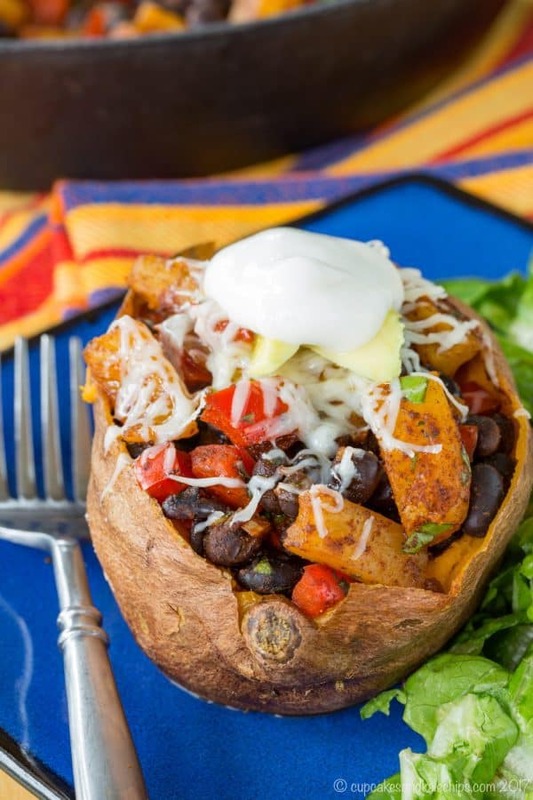 And this super simple sweet and spicy meatless mixture is not only perfect loaded into these sweet potatoes, it would also make great tacos or even piled on top of a salad. 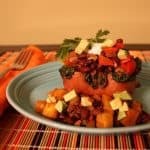 So give these stuffed baked sweet potatoes a try for your Meatless Monday, Lent Friday, or any day, really. It’s that good. No need to reserve it for your vegetarian days (unless all of your days are vegetarian days). We like out taters topped with cheese and sour cream or Greek yogurt, but you can always leave that off for a vegan option. And it would probably also be good with my kid-friendly guacamole recipe or this mango avocado salsa recipe. Or you can load it up with yummy toppings from my friends. A Family Feast has classic Guacamole. The Chipotle Crema on these Panela Cheese Fries from Foodness Gracious would add a little more spice. And you can never go wrong with Homemade Restaurant Style Salsa from Brown Eyed Baker. 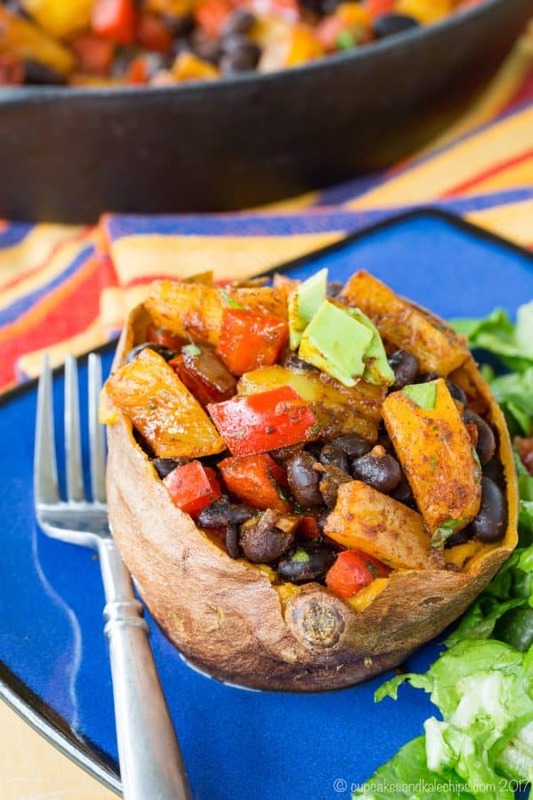 The Mexican Pineapple Black Bean Stuffed Baked Sweet Potatoes recipe serves 4 people. Squeeze half of a lime into a bowl and add the salt. 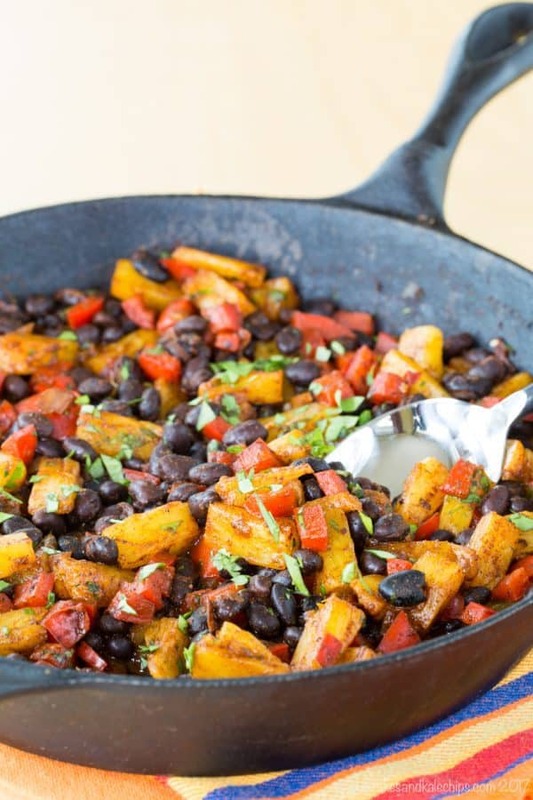 Toss the sweet potatoes in the lime-salt mixture. While the sweet potatoes are baking, prepare the fillings. Start by spraying a large pan with olive oil or cooking spray, and putting over medium heat. Add the Swiss chard, salt and pepper, and cover with a lid. Cook for about 5 minutes, or until wilted, stirring every couple of minutes. Remove the lid and add the milk and cheese. Cook until thickened slightly and cream. Set aside. In the same pan or in a clean pan, heat the olive and add the onions, salt, and pepper. Cook until starting to turn translucent. Add the red pepper and cook until the onions and peppers are soft. Add the garlic and cook for another minute. 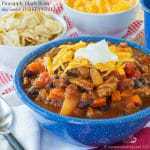 Add the black beans, juice of a lime, chili powder, cumin, and water, and simmer for 8-10 minutes, or until heated through. You can keep covered over a low heat until the sweet potatoes are ready. Stir the pineapple and cilantro into the black bean mixture. Combine the Greek yogurt or sour cream and lime juice, and chop the avocado and cilantro, if using. 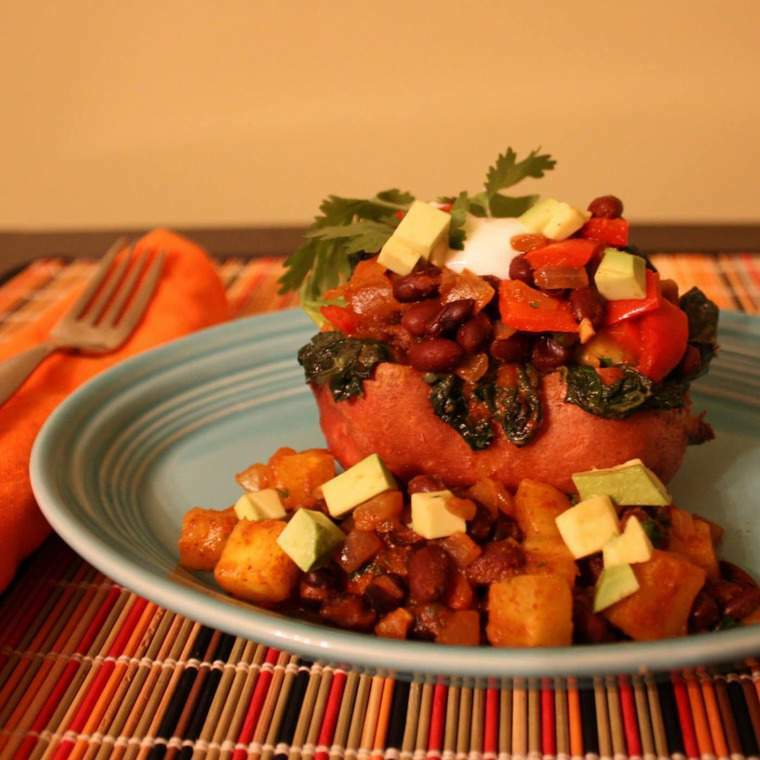 Slice open the baked sweet potatoes, and fill with the Swiss chard and black bean mixture. Top with the desired garnishes. This looks so good–I bet the flavors are amazing. Thanks for giving me the link to include in my upcoming Band Fruit Fundraiser Recipe Round Up! It will be published on 12/4/2013! Yum! Made this for dinner tonight, and we loved it! Didn’t miss the meat at all. So glad you liked it. And I know your hubby is somewhat like mine – so it says something if he didn’t miss the meat! Sounds delish! Is there any way that you could post the nutritional info? Thanks! Thanks. I have not started calculating nutritional information for my recipes, but I would like to. Once I do, I can let you know. This one shouldn’t be too hard to calculate. I just entered, too. Thanks for the reminder! Ooh, I have to check out your entry. Good luck! Thanks. It was definitely loaded with lots of good stuff. Wow, I feel like your recipes are MADE for me! Spaghetti squash and now a delish sweet potato recipe! Love! Definitely going to give this one a try when I can get back to my kitchen! I have never entered a recipe contest—I make a lot of things in the kitchen, but I’ve never considered entering a contest! There are so many out there. You should try! Good luck to you, too! Your recipe sounds awesome. I want to try it. I really hope you enjoy it. And I am sure you could skip the red pepper. But with a two year old, any way I can sneak in more veggies is a good thing. We definitely loved it.